The CIRCASA-Team would like to ask for your views on the role of Soil Organic Carbon (SOC) management for climate change mitigation and sustainable development. What do you think are the most effective management options, barriers and solutions, and what knowledge and research are needed to improve SOC management? Please take 30 minutes to fill out this survey. Soils are an enormous reservoir of carbon, containing nearly twice as much carbon as the atmosphere. Preventing soil carbon from entering the atmosphere is essential for climate mitigation efforts. Moreover, agricultural soils also carry a large potential for additional carbon sequestration, especially already degraded soils. Both preserving and enhancing soil organic carbon (SOC) has further benefits, contributing to improved soil quality, agricultural productivity, biodiversity and water protection and thus increased resilience against climate change. CIRCASA project aims to strengthen the coordination and synergies in European and global research on SOC sequestration in agricultural soils, leading to an improved understanding and scientific basis to target ambitious practices required to preserve and enhance SOC. Research on soil organic carbon sequestration is interdisciplinary, international and rapidly increasing. There are, however, still knowledge gaps. These include, for example, questions concerning the permanence of sequestered organic carbon, longterm changes in agricultural systems and of agricultural practices in diverse pedo-climatic conditions, the difficulty of detecting improvements as well as limited understanding of socio-economic barriers and effective policy solutions for the implementation of measures. The key challenge lies in the identification, implementation, assessment and verification of arable and grassland soil management practices which create a positive soil/ecosystem carbon budget at the farm and landscape levels, improve soil structure and soil quality and provide climate change mitigation and adaptation while contributing to sustainable development. Targeting ambitious changes in agricultural practices requires better structured international research cooperation to support public policies and stakeholders’ initiatives (e.g. policy makers, land managers and retailers). Better structure the international research cooperation in this field. CIRCASA applies an interdisciplinary and global approach to coordinate international research cooperation in different agricultural systems and pedo-climatic conditions through a strong international partnership. By bringing together the research community, governments, research agencies, international, national and regional institutions and private stakeholders CIRCASA takes stock of the current understanding of carbon sequestration in agricultural soils, identifies stakeholders' knowledge needs, and fosters the creation of new knowledge. 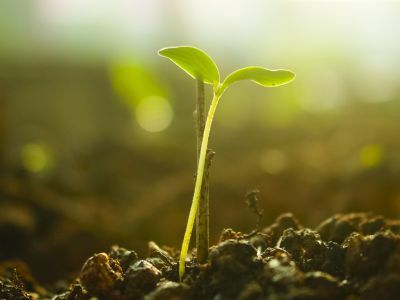 An online collaborative platform (OCP) will structure and integrate existing knowledge in a comprehensive knowledge system on soil carbon in agriculture, delivering a scientific resource of global and local significance (e.g. maps with technical potential for diverse agricultural practices). Active dialogue with stakeholders will be pursued through regular scientific and policy channels and dedicated regional/national stakeholder hubs, gathering their perspectives of SOC sequestration potential, role and management options, barriers and solutions to implementation, and knowledge demands. A 2020-2025 Strategic Research Agenda (SRA) on agricultural SOC sequestration will be co-designed with stakeholders, grounded on scientific evidence and stakeholders' knowledge demands. The OCP and a range of state-of-the-art information and communication tools will support the communication and outreach strategy. In CIRCASA project, Ecologic Institute leads WP2, focusing on addressing stakeholders’ views – knowledge and research needs. WP2 facilitates a structured dialogue with stakeholders, gathering their perspectives on SOC sequestration, identifying and assessing challenges and solutions for the implementation of SOC sequestration options, and synthesizing knowledge gaps and research needs emerging from stakeholders' perspectives and their assessment of options. Ecologic Institute also contributes to structuring existing knowledge on socio-economic and policy dimensions (WP1), facilitating the establishment of an international research consortium (WP3), and organising the final policy event (WP4).